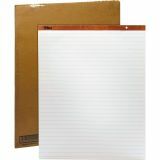 TOPS Horizontal Ruled Easel Pads - Full-size easel pad is ideal for larger group presentations. 15 lb. 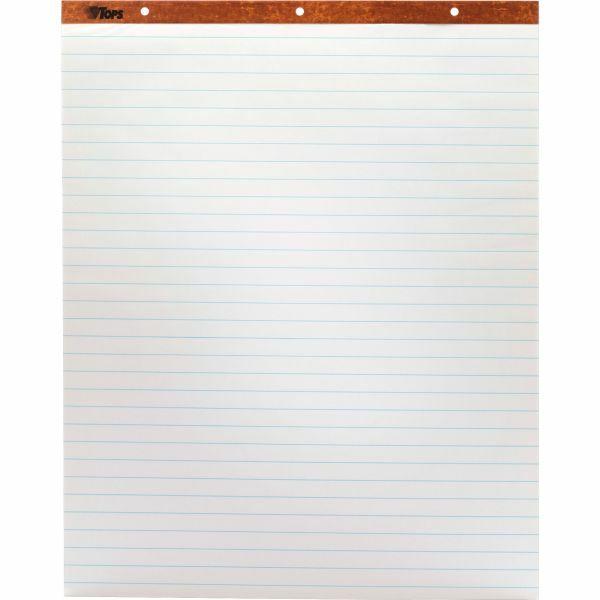 paper is Letr-Trim perforated for easy and clean tear-out. Three-hole punched design with 8-3/4 hole spacing fits all standard easel stands. 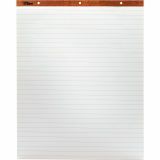 Each sheet is 1" horizontal-ruled quick neat notes in busy meetings. 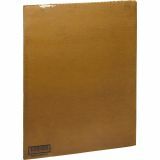 Each pad includes 50 sheets and has a 27 point chipboard backer."